Noke adds a connected door controller to its line of smart locks. Noke Inc., leading maker of commercial smart locks, today announced the launch of its Noke Door Controller—the most recent product in a growing portfolio of connected security solutions. The Noke Door Controller is a cloud-enabled wireless door controller that can control any electromechanical lock, including magnetic locks, door strikes, automatic garage doors, and manual sliding doors, among others. “This door controller takes the business advantages of all Noke smart locks---minimized operating costs, increased operating efficiency, heightened visibility and control---and makes them available to businesses managing virtually any type of door,” said Cameron Gibbs, Co-Founder and COO of Noke. Noke hardware pairs with the Noke mobile app and desktop software to give companies a convenient, secure, and attractive way to manage virtual keys. Until now, the Noke hardware consisted exclusively of portable locks, including a traditional padlock and bike-specific U-Lock. The new Noke Door Controller will bring the benefits of remote unlocking, customized access schedules, motion sensor detection, and activity notifications, to static access points. The door controller can be powered via 12V power supplies or battery depending on customer needs. “Basic door strikes and magnetic locks tend to be used most frequently, but you can choose any electromechanical lock to suit your needs and pair it with the Noke Door Controller and optional Noke Motion Sensor,” said David Gengler, Co-Founder and CEO of Noke. The Noke Door Controller uses the company’s recently announced mesh networking technology, allowing for two-way communication between the lock and the cloud. It also lets businesses place the controller in various applications without needing to run a single wire for power or data. 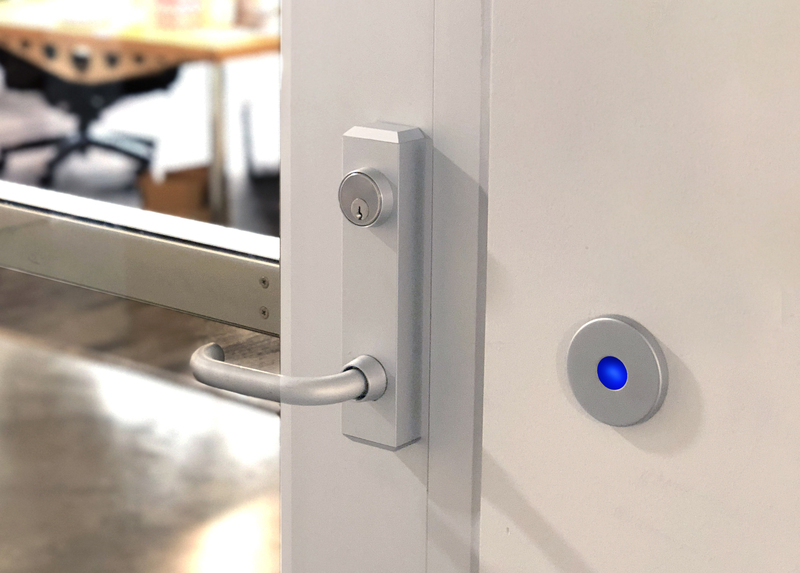 Noke Inc. designs and manufactures the Noke line of smart-locks, providing a reliable, safe, and cost-effective way for businesses to eliminate the pain points of key management. Noke gives companies a valuable security product to add to their collection of IoT devices as a means to secure and monetize ships, trucks, buildings, utility cabinets, warehouses, and more.